I drafted my evemail, aiming for a mix of “we’re all just trying to get along” and “we have no intention of slinking on home”, copied the whole thing into Google translate, and included both the English and German versions in the body of the message. When I hit send (directing it toward the CEO of the corp that seemed to own the local tower), I also CC’d it to Gor and CB, then let them know I had done so while we all continued to haul equipment into the system and bring them online. 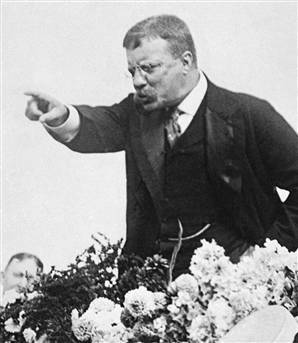 “Reminds me of Teddy Roosevelt,” murmured CB. With that done, and knowing that we were timeshifted from the other corporation by anywhere from 9 to 12 hours and wouldn’t hear anything back anytime soon, we returned our focus fully back to the tasks at hand, trying to rub the sleep from bleary eyes and taking periodic breaks to fetch another soda (me) or more tea (CB and Gor). By this point, I’d gotten my orca-flying alt into the delivery chain and had started to haul assembled ships and other gear while the others focused on tower fuel and consumables. We were working well, but the mood had gotten considerably more grim, thanks to the looming threat of some kind of showdown with the other corp.
Now, to be fair, it’s not as though PvP isn’t a constant possibility in wormhole space. Like the unsettled west of colonial America, there are no rules of engagement and no security forces to hide behind. However, unless a particular corp takes a serious dislike to you, any PvP combat you encounter is much more likely to be short-term and somewhat limited in scope, thanks to the temporary nature of the wormholes that connect you with other systems (both in wormhole space and known space), and their mass limitations precluding both very large fleets or very large ships. We were all acclimated to the idea of potential violence, and had certainly brought in enough hulls to stay completely functional even if we lost ships, but the possibility of a long engagement with an entrenched enemy was simply not the specific kind of fun we’d signed up for. I can’t speak for anyone else, but I at least was pretty bummed at the turn of events. CB (who had maintained a very healthy level of paranoid monitoring of d-scan) was the first to notice that there was now a ship at the other tower, quite a few hours sooner than I’d expected. There was very little doubt that he’d noticed us as well — aside from the tower, multiple storage facilities, and armed tower defenses, I had just unceremoniously dumped well over a dozen ships into the space inside the the tower’s shields, because my alt didn’t yet have clearance to the ship hangar we’d set up, I didn’t want to futz around with the labyrinthine corporate permissions menus on top of everything else I was doing, and the character (a dedicated non-combatant) couldn’t fly most of the large ‘pointy’ ships himself to dock them properly. All of that stuff was, I imagined, crowding our new neighbor’s directional scan in a rather noticeable way. So, knowing that he clearly knew we were there, and that he’d had time to see my evemail, I decided to say hello in the local comms channel. This, like starting up impromptu diplomatic negotiations, is something that Simply Is Not Done in wormhole space, but I figured I’d already broken a few taboos, so what were a few more. By doing this, I would be giving him easy access to intel on me, my corp, and my alliance — all the stuff that had taken us quite a bit of time to dredge up earlier on his corp — but again, I actually thought that having that information might encourage open negotiations. After 20 minutes, it was clear that he had no intention of replying in kind. So I opened up a direct, private line of communication. This, he eventually answered. I don’t have the exact log of the conversation handy, but it didn’t last terribly long, in part because he didn’t think his English was very good, and I knew my German was terrible. Also, at that point, there wasn’t much to say. “To see how fast they can get battleships here,” CB said. Which is what we did, the grim situation now looking even darker. While we worked, our neighbor put his own scanning probes into the system, no doubt trying to determine exactly where in the system we were located and what he was dealing with. We saw no reason to interfere with this, because trying to hide our numbers and material resources would only slow our own effort down. By my estimate, he probably found our base and warped a stealthy covert ops boat within visual range of the tower right about when we dumped our third load of ships into the tower space and started storing them in the hangar. I got no further communications from him, and we kept working on the tower, growling at the never-diminishing to-do list and the periodic warning messages now popping up on hour screen, telling us that the daily reboot of the Tranquility server would be happening in 1 hour… 45 minutes… and we should try to get somewhere safe. Fifteen minutes before the downtime, as we were storing the few modules we’d decided could wait until the next day, I got a private comms request from someone I didn’t recognize, a member of a corp from the same German alliance. I accepted. We talked. His English was a lot better, we had a lot to say, and I was still trying to bring the Tower’s last defenses online, so I was very silent on voice comms until we wrapped up. “They went for it.” Gor sounded as though he wasn’t sure if I was joking. The warning for “Five minutes to reboot” popped up. I ignored it, trying to think of anything we’d forgotten. “Pull your camera way back,” said CB. I did. Our tower hung in orbit around a barren moon, circling an invitingly temperate world. The tower’s forcefield — the wall of our little town — undulated in the foreground of our starry backdrop like a jellyfish, wrapped around storage facilities and defenses; offensive modules jutting outward in every direction just outside the barrier. “Quite the fortress,” said Gor. I signed off just as the “30 seconds to downtime” message came up, and headed for bed. According to my clock, it was 5:29am.